CHICAGO -- In a stunning ruling that has the potential to revolutionize college athletics, a federal agency said Wednesday that football players at Northwestern University can create the nation's first college athlete's union. The decision by a regional director of the National Labor Relations Board means it agrees football players at the Big Ten school qualify as employees under federal law and therefore can legally unionize. The Evanston, Ill-based university argued college athletes, as students, don't fit in the same category as factory workers, truck drivers and other unionized workers. The school plans to appeal to labor authorities in Washington, D.C. Outgoing Wildcats quarterback Kain Colter took a leading role in establishing the College Athletes Players Association, or CAPA, which would take the lead in organizing the players. The United Steelworkers union has been footing the legal bills. Colter, whose eligibility has been exhausted and who has entered the NFL draft, said nearly all of the 85 scholarship players on the Wildcats roster backed the union bid, though only he expressed his support publicly. NCAA rules prohibit athletes from being paid to play, but they can receive compensation in the form of scholarships and living expenses. In January, CBS News' Michelle Miller asked Colter whether that was enough. "We're very grateful for the education that we get, and we put in hard work to obtain the degree at the end of the day," he said. "There are essential rights and benefits that we're missing out on." CAPA attorneys argued that college football is, for all practical purposes, a commercial enterprise that relies on players' labor to generate billions of dollars in profits. That, they contend, makes the relationship of schools to players one of employers to employees. In its endeavor to have college football players be recognized as essential workers, CAPA likened scholarships to employment pay - too little pay from its point of view. Northwestern balked at that claim, describing scholarship as grants. Giving college athletes employee status and allowing them to unionize, critics have argued, could hurt college sports in numerous ways - including by raising the prospects of strikes by disgruntled players or lockouts by athletic departments.
} The NCAA has been under increasing scrutiny over its amateurism rules and is fighting a class-action federal lawsuit by former players seeking a cut of the billions of dollars earned from live broadcasts, memorabilia sales and video games. 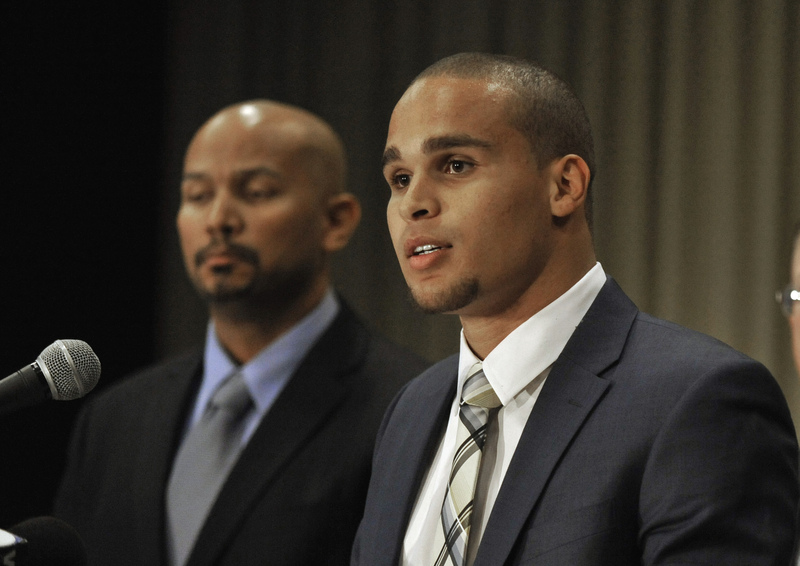 Other lawsuits allege the NCAA failed to protect players from debilitating head injuries. The NCAA is a multi-billion-dollar-a-year enterprise. Top-tier football teams like the University of Texas and Notre Dame are worth hundreds of millions in revenue for their programs. NCAA President Mark Emmert has pushed for a $2,000-per-player stipend to help athletes defray some of expenses. Critics say that isn't nearly enough, considering players help bring in millions of dollars to their schools and conferences. CAPA's specific goals include guaranteeing coverage of sports-related medical expenses for current and former players, ensuring better procedures to reduce head injuries and potentially letting players pursue commercial sponsorships. For now, the push is to unionize athletes at private schools, such as Northwestern, because the federal labor agency does not have jurisdiction over public universities. During the NLRB's five days of hearings in February, Wildcats coach Pat Fitzgerald took the stand for union opponents, and his testimony sometimes was at odds with Colter's. Colter told the hearing that players' performance on the field was more important to Northwestern than their in-class performance, saying, "You fulfill the football requirement and, if you can, you fit in academics." Asked why Northwestern gave him a scholarship of $75,000 a year, he responded: "To play football. To perform an athletic service." But Fitzgerald said he tells players academics come first, saying, "We want them to be the best they can be ... to be a champion in life." An attorney representing the university, Alex Barbour, noted Northwestern has one of the highest graduation rates for college football players in the nation, around 97 percent. Barbour insisted, "Northwestern is not a football factory."